One approach that often comes to mind when people think about marketing is going to clients and offering them services, trying to convince them to hire you by selling your knowledge and expertise to them. This can be a big turn-off for many translators. And having to do something that you don’t want to do makes it all that harder to get it done. Marketing is something we need to be on top of, all the time. It sounds daunting, but it doesn’t have to be. What if you were easy to find when a potential client needed you most? Instead of working a lead and convincing someone what a great fit you are for a job they need done, that work could already be in place for you! If a potential client needs your services and starts searching the Internet, the biggest part of the hard selling work is already done for you. These types of clients know what they need; now they just need to find you. Attracting clients in this way is called inbound marketing and involves you working on a website and online profiles so that potential clients can find you with ease. Setting up, maintaining and customizing your business website. The benefits? Your website is a great place to showcase your professionalism, your work, and to sculpt your professional image. Your website works for you continually in places you might never otherwise get to, all over the world, and doesn’t conform to a specific time zone, making you accessible to clients you might not even guess are looking for you. Getting your website up and going is a great first step toward attracting clients and positioning your business offering. But is it working for you in terms of search rankings? Use SEO (Search Engine Optimization) to identify keywords that will promote traffic to your site by improving your listing on search engines like Google and Bing. Get out there and make yourself known. Write an article for a translation, interpreting or a related professional publication. The translation and interpreting worlds are relatively small communities, so what about making yourself known as a sharp writer, or showcasing your specialty knowledge in a related trade magazine? Some ideas: opinion pieces, dictionary blogs, an article for a newspaper; anything that gets your name out there and lets people know what you do. Publicize yourself. Have you thought beyond your local and obvious international associations? With a little research you’ll find numerous translation directories in many countries! The more specialized the better, as potential clients searching there know more specifically what they are looking for and as a bonus they probably already understand the value of translation. Your marketing tactics define how you’ll make your business grow. Whether it’s marketing online, offline, asking for referrals from current clients, or getting more involved in your local translation association, these tasks need to move from being ideas in your head, to concrete points on a master list that you program weekly, monthly and yearly. In my Quick Start Guide: “8 Steps to a Marketing Plan for Your Freelance Business,” I describe 16 marketing strategies for you to focus on, and the majority are actions you take without relying on traditional selling tactics. With scheduled strategies in place, you’ll certainly be on your way to a successful freelance career and lifestyle. 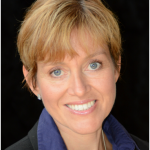 Tess Whitty is an English-Swedish freelance translator since 2003, specializing in corporate communications, software and IT. Her educational and professional background is in marketing and she is a popular speaker and trainer at conferences, sharing her knowledge and experience in marketing and freelance business. She is also the author of the book “Marketing Cookbook for Translators”, with easy to follow “recipes” for marketing your translation services and achieving a successful freelance lifestyle, and the award winning podcast “Marketing Tips for Translators”. 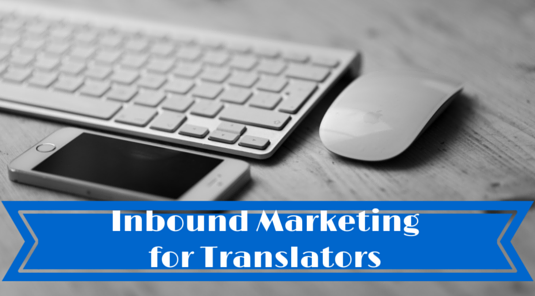 For more information, and to connect, go to www.marketingtipsfortranslators.com.